Due to ongoing technological progression and underlying market dynamics, Gigabit Ethernet (GbE) technology with 10 Gigabit uplink speeds is starting to proliferate into the networking infrastructure across a multitude of different applications where elevated levels of connectivity are needed: SMB switch hardware, industrial switching hardware, SOHO routers, enterprise gateways and uCPEs, to name a few. 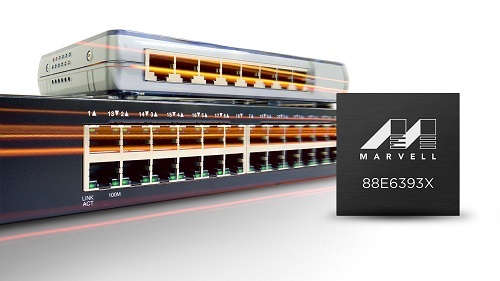 The new Marvell® Link Street™ 88E6393X, which has a broad array of functionality, scalability and cost-effectiveness, provides a compelling switch IC solution with the scope to serve multiple industry sectors. The 88E6393X switch IC incorporates both 1000BASE-T PHY and 10 Gbps fiber port capabilities, while requiring only 60% of the power budget necessitated by competing solutions. Despite its compact package, this new switch IC offers 8 triple speed (10/100/1000) Ethernet ports, plus 3 XFI/SFI ports, and has a built-in 200 MHz microprocessor. Its SFI support means that the switch can connect to a fiber module without the need to include an external PHY – thereby saving space and bill-of-materials (BoM) costs, as well as simplifying the design. It complies with the IEEE 802.1BR port extension standard and can also play a pivotal role in lowering the management overhead and keeping operational expenditures (OPEX) in check. In addition, it includes L3 routing support for IP forwarding purposes. Adherence to the latest time sensitive networking (TSN) protocols (such as 802.1AS, 802.1Qat, 802.1Qav and 802.1Qbv) enables delivery of the low latency operation mandated by industrial networks. The 256 entry ternary content-addressable memory (TCAM) allows for real-time, deep packet inspection (DPI) and policing of the data content being transported over the network (with access control and policy control lists being referenced). The denial of service (DoS) prevention mechanism is able to detect illegal packets and mitigate the security threat of DoS attacks. 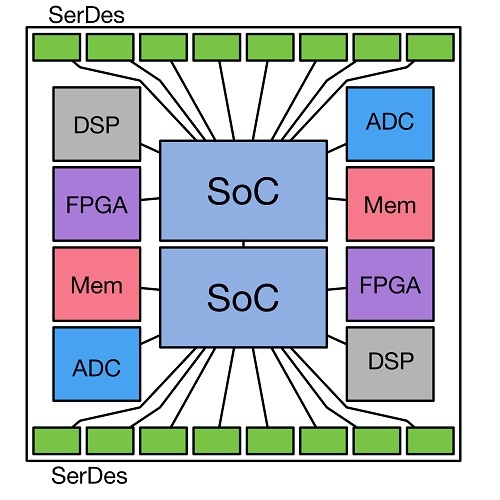 The 88E6393X device, working in conjunction with a high performance ARMADA® network processing system-on-chip (SoC), can offload some of the packet processing activities so that the CPU’s bandwidth can be better focused on higher level activities. Data integrity is upheld, thanks to the quality of service (QoS) support across 8 traffic classes. In addition, the switch IC presents a scalable solution. The 10 Gbps interfaces provide non-blocking uplink to make it possible to cascade several units together, thus creating higher port count switches (16, 24, etc.). This new product release features a combination of small footprint, lower power consumption, extensive security and inherent flexibility to bring a highly effective switch IC solution for the SMB, enterprise, industrial and uCPE space. Though the projections made by market analysts still differ to a considerable degree, there is little doubt about the huge future potential that implementation of Internet of Things (IoT) technology has within an enterprise context. It is destined to lead to billions of connected devices being in operation, all sending captured data back to the cloud, from which analysis can be undertaken or actions initiated. This will make existing business/industrial/metrology processes more streamlined and allow a variety of new services to be delivered. With large numbers of IoT devices to deal with in any given enterprise network, the challenges of efficiently and economically managing them all without any latency issues, and ensuring that elevated levels of security are upheld, are going to prove daunting. In order to put the least possible strain on cloud-based resources, we believe the best approach is to divest some intelligence outside the core and place it at the enterprise edge, rather than following a purely centralized model. This arrangement places computing functionality much nearer to where the data is being acquired and makes a response to it considerably easier. IoT devices will then have a local edge hub that can reduce the overhead of real-time communication over the network. Rather than relying on cloud servers far away from the connected devices to take care of the ‘heavy lifting’, these activities can be done closer to home. Deterministic operation is maintained due to lower latency, bandwidth is conserved (thus saving money), and the likelihood of data corruption or security breaches is dramatically reduced. Sensors and data collectors in the enterprise, industrial and smart city segments are expected to generate more than 1GB per day of information, some needing a response within a matter of seconds. Therefore, in order for the network to accommodate the large amount of data, computing functionalities will migrate from the cloud to the network edge, forming a new market of edge computing. In order to accelerate the widespread propagation of IoT technology within the enterprise environment, Marvell now supports the multifaceted Google Cloud IoT Core platform. Cloud IoT Core is a fully managed service mechanism through which the management and secure connection of devices can be accomplished on the large scales that will be characteristic of most IoT deployments. 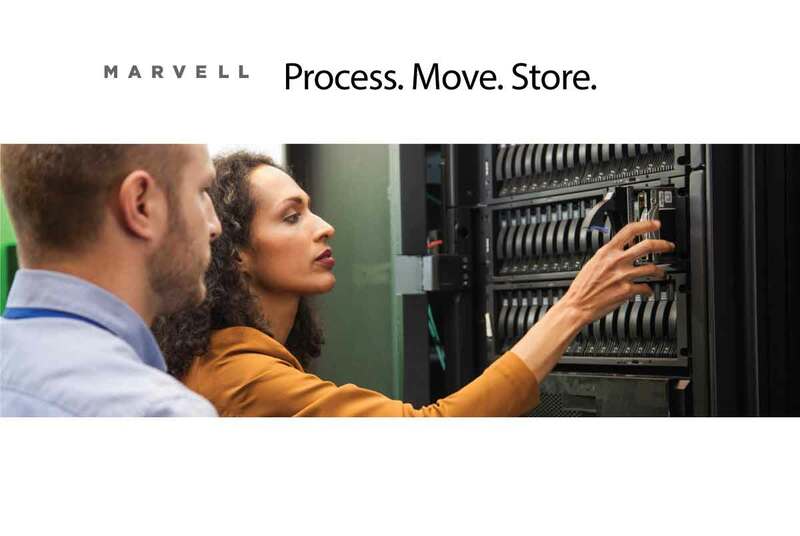 Through its IoT enterprise edge gateway technology, Marvell is able to provide the necessary networking and compute capabilities required (as well as the prospect of localized storage) to act as mediator between the connected devices within the network and the related cloud functions. By providing the control element needed, as well as collecting real-time data from IoT devices, the IoT enterprise gateway technology serves as a key consolidation point for interfacing with the cloud and also has the ability to temporarily control managed devices if an event occurs that makes cloud services unavailable. In addition, the IoT enterprise gateway can perform the role of a proxy manager for lightweight, rudimentary IoT devices that (in order to keep power consumption and unit cost down) may not possess any intelligence. Through the introduction of advanced ARM®-based community platforms, Marvell is able to facilitate enterprise implementations using Cloud IoT Core. The recently announced Marvell MACCHIATObin™ and Marvell ESPRESSObin™ community boards support open source applications, local storage and networking facilities. At the heart of each of these boards is Marvell’s high performance ARMADA® system-on-chip (SoC) that supports Google Cloud IoT Core Public Beta. Via Cloud IoT Core, along with other related Google Cloud services (including Pub/Sub, Dataflow, Bigtable, BigQuery, Data Studio), enterprises can benefit from an all-encompassing IoT solution that addresses the collection, processing, evaluation and visualization of real-time data in a highly efficient manner. Cloud IoT Core features certificate-based authentication and transport layer security (TLS), plus an array of sophisticated analytical functions. Over time, the enterprise edge is going to become more intelligent. Consequently, mediation between IoT devices and the cloud will be needed, as will cost-effective processing and management. With the combination of Marvell’s proprietary IoT gateway technology and Google Cloud IoT Core, it is now possible to migrate a portion of network intelligence to the enterprise edge, leading to various major operational advantages. 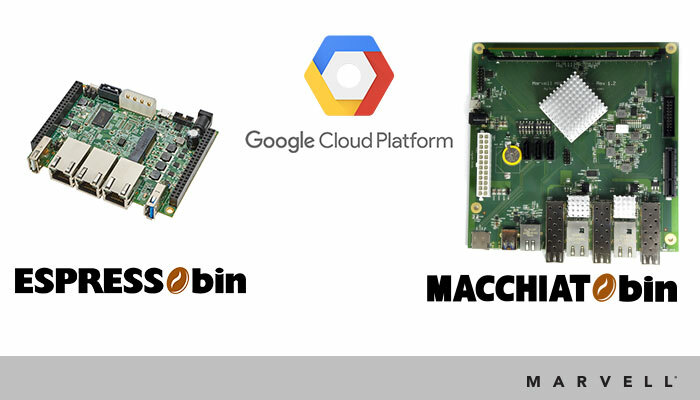 Please visit MACCHIATObin Wiki and ESPRESSObin Wiki for instructions on how to connect to Google’s Cloud IoT Core Public Beta platform.